The dynamic characteristic of pneumatic brake system is very important, so the full-parameter model of the pneumatic brake system was established on the base of the technology of computer simulation. Its key brake components include brake valve, relay valve, diaphragm brake chamber and pneumatic circuit. AMESim was first introduced on the basis of mathematical derivation. So the multivariable complexity derivation, nonlinear mathematical relationship can be avoided. The model can be used for the bus brake system multi-parameter simulation and design. A pneumatic brake system test-bed was designed to verify the accuracy of the model. It can measure the dynamic characteristic and the output response coordination of each component. It was showed that the simulation results were fit to the experiment results. For the deviation, the explanation and analysis were also given. The response hysteresis of the brake system is mainly caused by the rubber diaphragm deformation in brake chamber. 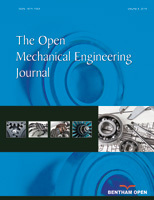 This research laid the foundation for the further structural optimization of brake components and fitness analysis of the pneumatic brake system.